In the world we live in today, it’s becoming rarer to see only one language present in our everyday lives. With growing technology, it’s almost impossible to imagine a world where we can’t just get in contact or communicate with someone who may live in a different country or place. We almost take for granted all the different languages that are offered on our product descriptions, Netflix subtitles, and even on a flight when the captain makes each announcement in 3 languages. These life “features” are no longer considered a luxury, but more of a standard in our modern society. With over 6,500 spoken languages in the world, the need for translation is imperative and companies need to cater their services and products to different languages, cultures, and people to even compete in the global market. With that said, every year on September 30th, we celebrate International Translation Day to honor the hard work that translators and linguists put in to make global communication flow more seamlessly. 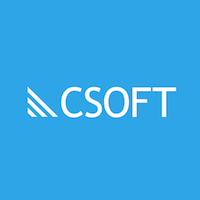 At CSOFT, we appreciate our 10,000 experts around the world for their dedication to breaking down cultural and linguistic barriers, and strengthening global connections. Thank you to all linguists around the world for your passion and efforts in filling in the missing gaps and bringing people closer together.